Which way should be “on” for a switch? 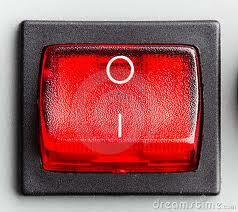 Most of us use switches every day in various forms. And although there are sometimes general norms in countries as to which direction is "on", there is variation between countries. 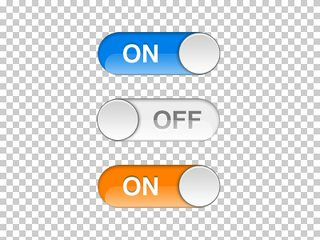 So when developing a product with a switch in it, which direction makes the most sense for "on", and why? 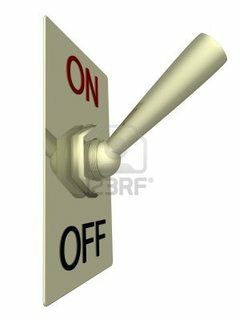 I'm not talking about other ways of showing that they will be on or off, I'm more talking about whether "on" is up, down, left, or right. Any research on this would be appreciated. The direction which represents "on" also varies by country. 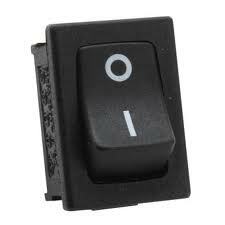 In the USA and Canada and Mexico and the rest of North America, it is usual for the "on" position of a toggle switch to be "up", whereas in many other countries such as the UK, Ireland, Australia, and in New Zealand it is "down." ... In countries prone to earthquakes, such as Japan, most switches are positioned sideways to prevent the switch from inadvertently being turned on or off by falling objects. So there is really no direction globally true, if we believe in Wikipedia. Up or down or sideways differs by region. From what I learned in school (but I can't find a reference too now) is that vertical motion elecric switches use a metaphor for determin which is which. As an eyelid opens, the eye can see, meaning the switch is on. When the eyelid closes, we can't see, meaning the switch is off. This metaphor works for electric switches, light switches and (modern) fuses. But there is a problem. Electronics switches seems to have the metaphor crushed if you do image searches. You find all sorts of switches where Up is off and Down is on. To conclude - be careful relying only on direction. An informative text or indicator light would certainly make it easier for your users. The important thing is not so much which direction is right, but that you make it visually clear which direction is 'on'. This can be done by lighting up an LED, by an icon on the display, changing colors, etc. It just needs to be very clear what state the machine is and that this button will toggle the state. This is how single direction switches (buttons) work; it's obvious what a power button will do because I can tell that the device is currently on. And if I can't tell if it's on or off, your standard button direction really doesn't do me a damn bit of good. Why can't you trust one direction? Flip a light switch somewhere near you. Very often these light switches are set up so that down on one light means "on" while it means "off" on another light in the same house; this is especially common when two switches affect the same light, so you can't depend on the physical direction. But this isn't nearly so much as a problem because there is always a visual cue as to which state the light is in. If the light is on... well, you can see the light. If your switch doesn't have that nice visual affordance you'll need to make your own affordance. It was presumably designed this way to afford an in-built failsafe: it requires physical effort to close ("turn on") by overcoming gravity, which will otherwise open the circuit. EDIT: At least in the US, electrical codes (see National Electrical Code paragraph 404.6 - 404.7) still require this type of switch to be mounted so that gravity will not tend to close the circuit. This convention extends to modern general-use switches covered under the scope of electrical codes (i.e within buildings) which must be installed with the "on" position up. Modern switches almost certainly inherit their behaviour from this prototype. EDIT: From a UI perspective, keep to the golden rule and don't break expectations. Sadly I don't have research material but some real world examples which uses the top/bottom direction. 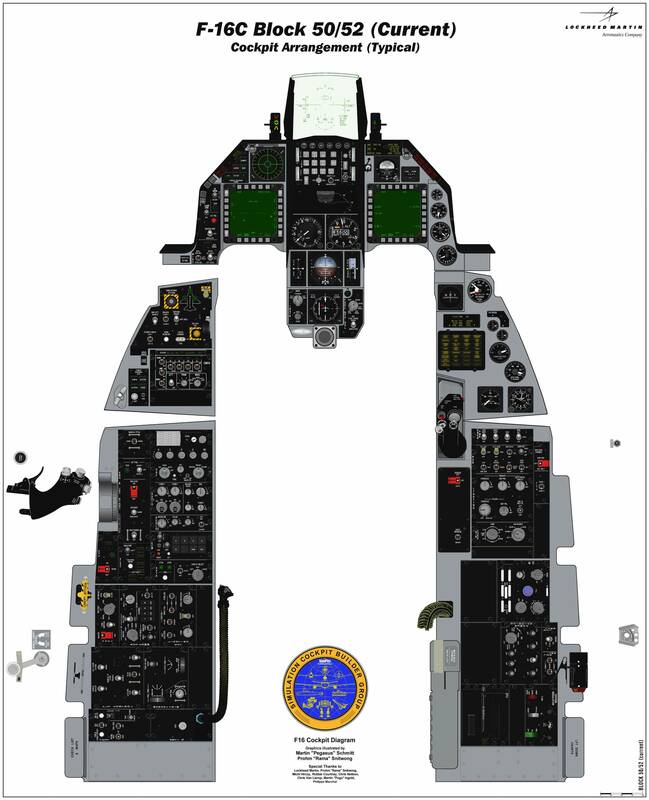 I have found an interesting post and a manual about switches in cockpits of airplanes. If safety is a concern - make sure gravity deactivates the switch. This kind of switch is designed to never be activated by accident. I live in the UK and so am used to UK design conventions. Many UK households have at least one XOR configuration lighting circuits for the communal areas - two switches leading to the scenario where, depending which is used, both can be in the traditional 'off' position. I'd say that it's therefore not really a big mental challenge to have a mixture of switch configurations, although it can be mildly frustrating at times. Single-position lighting circuit wall switches — and BS 1363 wall sockets — use a downward motion to make the circuit live. This means that, for power sockets, a visible red indicator on the top-facing side of the socket's switch shows the socket is live at all times. (It's not called the "world's safest mains plug and socket" standard for no reason.) Some sockets and extension cables also have illuminated indicators either built into the switch or on the socket for further guidance. All UK wall switches have a pretty stiff movement allowing you to 'feel' the position of the switch with a moderate amount of pressure without actually triggering it - whereas some much larger European 'panel' switches can be switched with little more than an unintended arm contact when walking by. Always-vertically mounted RCDs use the standardised up=live, down=neutral paradigm for a few obvious reasons including failing safe and ease of visibility. The context of their usage is fundamentally different from domestic sockets so this is fine by me. Example: in daily life, I use IKEA standing lamps which use the European up=live, down=neutral (and are gently annoying for this reason) and audio equipment which uses horizontally mounted switches. Each one is different, probably because of their countries of origin. Some other lamps have a switch which passes through the actual neck of the lamp, so you can put two fingers either side and just push in the appropriate direction. As you can rotate the lamp however you like it this solves the problem ;-) Or you can just fit clappers everywhere! I don't consider French sockets to always follow the up=live, down=neutral paradigm; I think this depends to an extent on the electrician and of course whether they're to control an XOR circuit. If I was designing a physical product and had the opportunity to be this obsessive over the minutiae (such as which way a switch tilts when it's engaged), electrical safety standards providing I would see about offering a modular switch - for example, protected by a screw-in plate and not easily modifiable without a screwdriver - which allowed the user to modify the switch's operation to his preference. As it's tangentially related: for any software design, I always recommend eschewing a skeueomorphic pseudorealistic convention and always prefer when there's a nice plain square button, clearly labelled Off or On in the appropriate i18n locale. That, and perhaps colour the switch as red when off and green/blue when on. Although those colour codes aren't universally used they're arguably instantly recognisable given widespread use. ...And now, ignoring everything I've said above: if I had the ultimate choice, I'd say mount your switch so the top-facing half is flush to the shell when the device is powered on (requiring an upward flick to power on) — and cover with a small, clear, hinged door to prevent accidental disabling. Nothing worse than fumbling blind around the rear of a unit only to accidentally power it off. There isn't a global preferred direction. And there's no psychological reason for a preferred direction. It will depend on the default in people's home culture. Depending on the application safety issues should be considered as well as intuition. I would say when you mount a switch vertically it is usually more sensible to have the “on” state on top. Because vertically mounted switches are more likely to be switched down accidentally by taking your hands down, grazing, things falling down or similar. Usually less harm is done if something is accidentally switched off rather than on, especially if you think about rotating machines, etc. 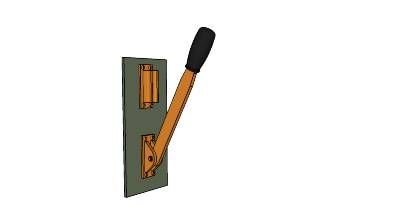 If you think about the worst case, someone injured lying on the floor trying to reach a switch he is more likely to reach the switch to push it down or someone in a rush, it is easier to switch down because you usually take your arm down after you pushed the switch. Also small children might not be able to switch upwards which is usually the prefered situation. I would orient the switch the way it is easier to reach for the user in whatever indisposable situation you might catch him—even if it’s only inconvenience. However in some situation you might want to have the user being aware of his decision; An example from another area: gas cylinders have different handed threads for combustible gases than for oxygen, nitrogen, etc. Of course some of the examples are a bit extreme and you might even want to use a different switch design in these scenarios; nevertheless it shows that some orientations might be more sensible than others. 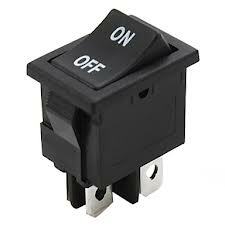 For vertically oriented switches, I (as the user) would first expect Up to be On and Down to be Off. This is entirely based on my usage of North American light switches over the course of my life. There is probably some psychology associated with this, in particular, that things "up" have more potential energy than things that are "down," certainly true for physical objects, and the metaphor used when we talk about moods. If you're feeling "up" then you're full of energy, if you're feeling "down", you're low on energy. 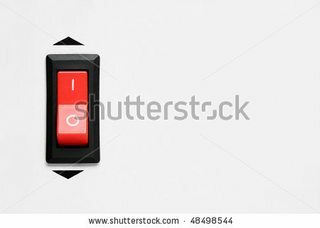 For horizontally oriented switches, I initially thought "right is on," but then I thought about when I drive German or American cars where the headlight switch is operated by the left hand. Off is when the control points up, and you rotate it clockwise (top point moving right) to turn on the headlights. Every single time I do this, it feels backwards to me. This would the expected motion if the control were mounted for my right hand, but not my left. I also thought about a bathroom I have in my house with a pair of horizontally oriented switches. They switch left to turn on, right to turn off, which makes sense to me, but only because the switch is left of the door (when facing the switch). If the switch were on the right side of the door (as it is in another room in the house), I expect the opposite to be true. These two mini-case studies have drawn me to the conclusion that away is on and towards is off. Not an answer, but a feeling. I do think that if the switch is horizontal, the on needs to be on the right. Right feels like "forward", or "active" to me, perhaps because the flow of time is usually depicted in that direction. 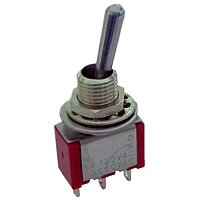 However, most switches seem to be mounted vertically. For that case, I get the feeling that it depend on use, but that there isn't a very strong preference either way. I do think that there might be research on it, in the context of the design of cockpits or control boards for plants. But based on instinct again: in context where you have to be able to quickly turn off, the on direction is up. Turing off a complete row of switches in a single downswipe with your hands seems easier downwards than upwards. Although I couldn't find any valid research to back me up on this, I have the strongest feeling that ON should be UP. There is just a strong association between things that are up, going, running, working, living, moving, vital and so on. This is in contrast to things that are down, stationary, or shut. These associations are also expressed in common phrases, like systems being ON-line, or a computer being shut-down. Perhaps this is rooted in the experience of our daily physical lives; lower things are closer to the ground and have little or nowhere to move. In contrast, higher things tend to move, often towards the ground. If this is not the case, it often takes some energy or process to maintain it in its high position. This is all very abstract, but its through these experiences that we have (hopefully) universal associations. Therefor, if I had only intuition to guess which way is ON, I would guess it's UP. I hope you understand why. In which direction is the switch most likely to spend its life? Which directions are more costly (or dangerous) to have the switch hold? If it is most likely to be on, then it should be installed in a manner where the mass of the toggle would likely keep it in the on position. If it is off most of it's life, then the mass of the toggle should keep it in the off position. Exceptions to this rule exist, for example, circuit breakers tend to have the toggle pointing to the center of the panel to indicate connectivity with the mains. Unless you control the entire layout and design, odds are you are not going to be able to leverage additional information in the switch position in this manner. If the switch is mean to convey additional information, one generally wires in a lamp with the switch; however, this adds additional complexity (and maintenance). The additional complexity is that now one must consider lamp color, and such a color might not have a standard. To point, in most laymen's eyes, green means on; however, in the electrical power industry, red typically means on and green means off (because a live wire will kill you, and green generally means safe to work on). So if there are no additional cultural norms to fall back on, wire it such that it spends its normal life with the switch down, which tends to work well as falling objects hit switches occasionally, and are less likely to upset the system. Yes, in the rare instance a rising object might hit the switch; however, gravity is ever present, so you're playing with the odds. This partially explains why computer power switches then to be "on -> down" and light switches tend to be "off -> down"; because, turning off a computer without system initiated shutdown tends to run the risk of corrupting the system's data. Once, I ran into a switch that was mounted with normal = up. Somehow it kept getting pushed down, which caused an upset, until someone actually mounted a small box over the switch. Likewise we have a mis-mounted light switch that controls an entire circuit in my childhood home. Eventually we attached a little plastic stop to prevent the switch from being turned off, the ultimate in UI failure. The answer is that whichever way you do it, it needs to be clearly labeled. There is no "which way". The BUDGET answer is to look at the most used applications on the platform for which you are programming and piggy back on their UX research and use the same or similar functionality, so there is an air of familiarity and commonality across the user's device. Goes back to the rule of righty tighty lefty loosey — Switches are built (and drawn in electronic diagrams) as a line that goes from left to right then bends up and then there is a gap and then back on the level (y-axis) before the bend there is another straight line... So whenever the line that bent up is "pushed" down (or turned clockwise (righty tighty)) the circuit is completed. Clockwise = on, counter-clockwise = off. As there is no global standard, and we still want to give the global answer, you just need to mark it to make it clear. Otherwise you need to check it by trial and error. But in most cases you can tell if the light or whatever else is on or off, so the answer is: the opposite one switches it to the other state. I think it is more clear for gauge switches, though, where turning right is for on, and left for off. So maybe using these is an option. Now while user's dealing with emergency they found this was wrong, so in Emergency switches/ its reversed as its easy to switch it off. in |/ this direction using hand or any other thing. So, user perception from past makes it easy with practice. Practically this new theory is better. It all depends on the usage of the switch. Airplanes and choppers use the switch on top to be ON, this ensures that someone by mistake does not switch it on while sitting down. This is one of the major causes of mishaps. Usability wise, you need to look at the scenario it is being used. If it is a 2 way switch you need to consider what orientation you are going to keep the switch in, horizontal or vertical. If there are just too many switches in the place already, then you should follow the rules that have already been set, dont change something that works. Gravity is another point to consider. What would you like your switch to do when it is combined with gravitation forces. Switches that trip on leakage should not only be sensitive, but should use gravity as a force to switch off, and may be couple other switches with it to switch many more together. I think most of the people over here already mentioned about the different types of switches and probably the up/down switch is the best for representing ON/OFF. In addition to the use of Up/Down button I would like to mention one very important point which I feel should be pointed out. Why in MCBs and all other Up/Down high current switches, ON situation is always kept in Up state Down? The reason being that for example if something falls on the switch due to gravity or even by mistake then the switch should not ON the system because it may create some dangerous situation. 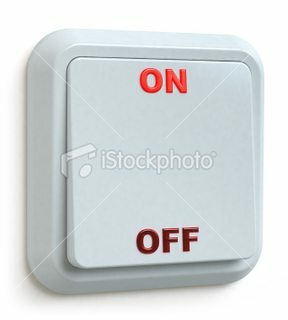 You would also consider if the switch has another meaning than the boolean value on/off. All these have a intuitive position i would say. Not the answer you're looking for? Browse other questions tagged physical affordance toggle intuitive or ask your own question. International\?? Standards for light switches? 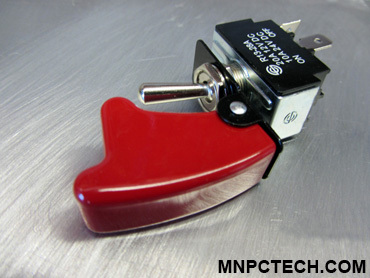 Toggle Switch position the right way? Responsive Nav: How to show user login status on mobile phone width? Is there any difference between switcher and tabs when you have only two options? Why do light switch buttons have up/down direction when it's really a toggle function? How do you show non-affordance? What's the best way to set the hair dryer? What research exists into user experience design factors for the design of ovens and cooktops? Show or hide password - icon or textual?